(CBS) - I'm watching this over and over to get a grasp of the physics involved... I'm unfortunately still not quite certain. 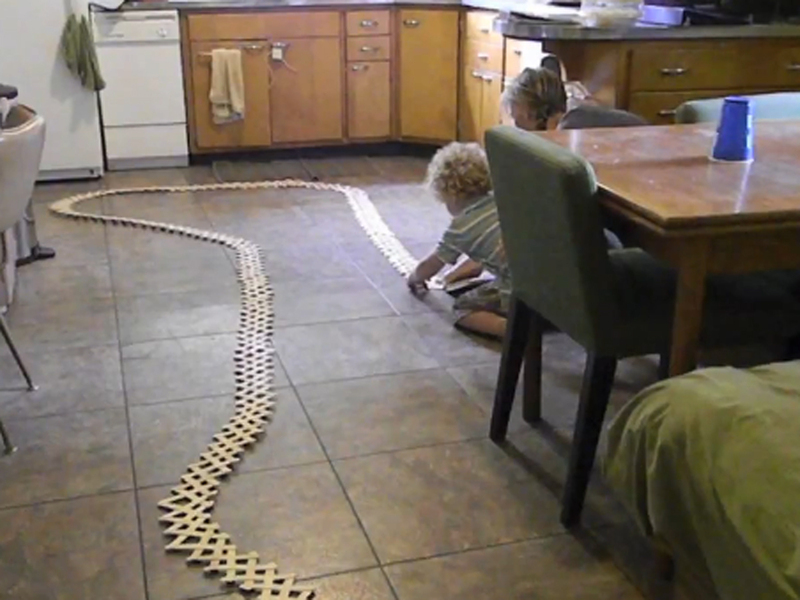 Regardless, you are bound to enjoy this insane video of popsicle sticks going off in insane domino fashion. new record for the both of us right! Well, congratulations on the new record! Now does anyone know how they are set up to pop up in that way and almost look like a cobra as the domino effect happens? If so, leave me some comment love below, I'd love to find out. UPDATE: I ask and you answer. A big thanks goes out to Lefebvredude for providing a link in the comments section that shows exactly how this particular effect is created.